What's going to provoke a great conversation for you? ﻿For the last twenty five years I've worked with groups and teams all over the world. From boardrooms in the financial services district, to hospitals, to major international headquarters, and South American jungles. What I've noticed, regardless of culture, is that pictures get conversation and thoughts flowing more quickly than anything else. The Conversation Sparker Cards(TM) have stemmed these roots. Over the last ten years in my work as a Certified Professional Coach I've introduced many different visual card decks into the work I've done with teams and groups. 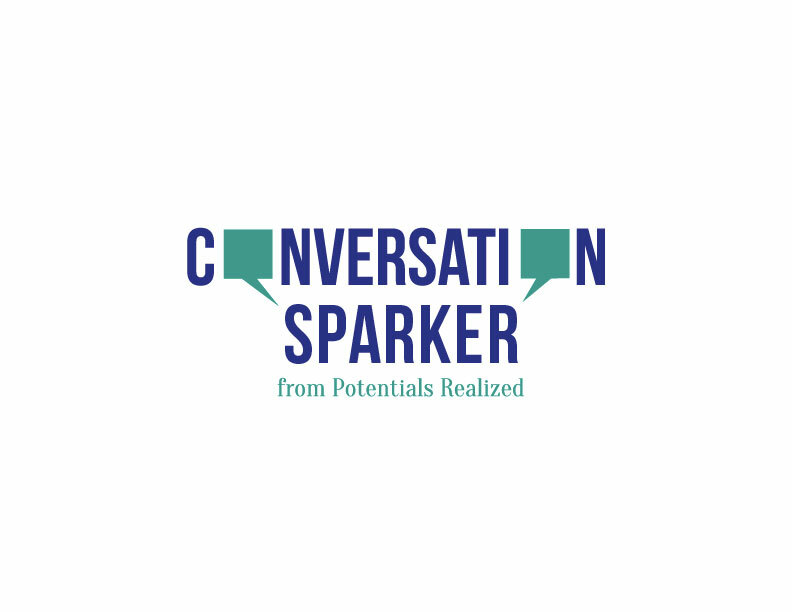 At Potentials Realized we are now excited to offer our own Visual Deck - the Conversation Sparker Cards. We know that the images will spark a number of ideas, and move with you through a number of conversations. Conversation Sparker Cards(TM) have been created by Jennifer Britton of Potentials Realized. Each deck includes a 70 card post card sized photos(3.75 5.75 inch) - 48 color photos and 22 with provoking questions such as "What's your Vision?". The cards come in a plastic casing, designed to be portable and small enough to carry with all of your other meeting, or presentation gear. During a training program. The cards provoke conversation and can also be used to encourage dialogue between learners about their insights. When you purchase one of the decks you will be able to download an accompanying booklet with ideas on how to use the cards. Click here to view some of the cards and order a deck for yourself. Download a flyer about the cards. Already have a photo deck or your own cards? Curious about how you can use them around many different topics. I'm pleased to announce the launch of the 40 Ways to Use Visual Cards E-Manual which includes detailed facilitation instructions to 40 activities ranging from ones addressing innovation, to vision, to planning and closure. You also get 5 worksheets you can use "as is" with your groups. Order the 40 Ways to Use Visual Cards facilitation approaches (a digital download) for the intro price of $40 US, separately, or as part of a bundle with the Conversation Sparker and/or Teams365 Team Sparker Deck.